For any web developer having efficient web development tools and debugging tools makes a lot of difference on how quickly the development can progress. If you are a new developer and are looking for various tools that are freely available and are quite efficient then take a look at the list below. This list provides top recommendations from a huge list of tools available today. Based on user comments over the internet and personal use the following 3 web development tools are the best out there. They are being used professionally due to their ease and extensibility. If you are a novice or a pro these IDEs provide for most of your needs. 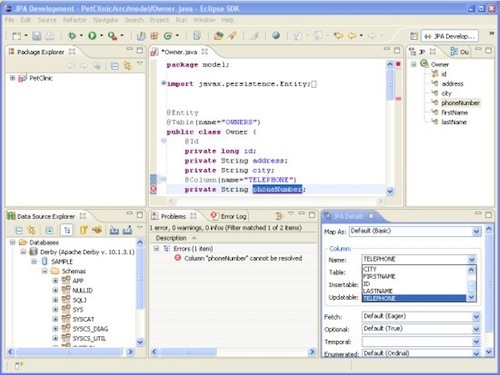 Eclipse is an excellent tool or IDE for any kind of development. With it’s plug-gable architecture Eclipse can support many different languages and tools for editing and debugging. There are both commercial as well as open source / freeware plugins available for Eclipse. Eclipse provides a Web Tools Platform (WTP) that extends the Eclipse platform with tools for developing Web and Java EE applications. The primary focus for WDT here is Java. For PHP developers however eclipse supports PHP development tools (PDT) which can provide a host of functionality for coding and debugging PHP code. Eclipse can sometime bog down novice developers since it requires installing and trying out different plugins based on the use. Some plugins may not be as user friendly as others. None the less this is the most used tools for web development. 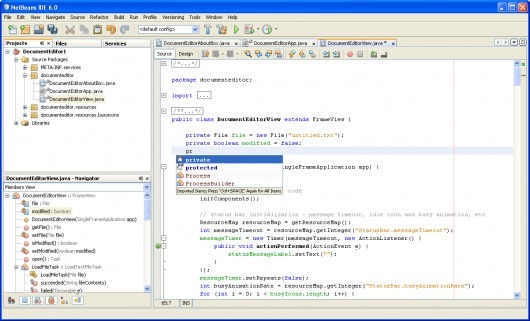 Netbeans IDE is and open-source and free tool than can be used for JAVA, PHP development. Compared to eclipse the NetBeans has a very small learning curve and start up time is very low. It requires minimal configuration allowing users to get to coding tasks quickly. Aptana studio is an open-source development tool which has flexibility and plug-gable architecture similar to eclipse. This IDE provides very nice interfaces and great integration with integrated debuggers. This might have the least amount of learning curve as screens and options are quite intuitive. It has been built from ground up especially for the web development. This is the platform that novice developers should first try before starting with eclipse. From initial research it looks like Quanta plus may not be the best option today. There has not been any new release since a long time for Quanta plus. It is mainly used for for HTML, XHTML, CSS, XML and any other XML-based languages or scripting languages. PHP is also supported. If you are looking for quick debugging without the hassle of installation of tools on your computer, Firefox provides a host of options. These not only help to debug your code but also help in understanding code of other websites and how they are implemented. Firefox has started to provide built in web developer tools. These are really great tools for web development that are part of every new release of Firefox. Since they are part of Firefox core they provide excellent compatibility and future support. The following video provides an overview of Firefox web developer tools. Firebug is a must have Firefox add on for any web developer. 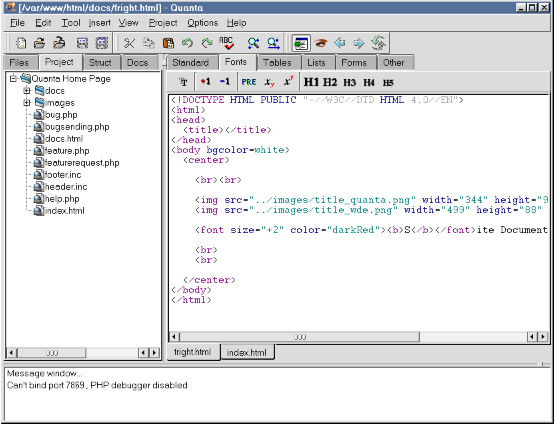 It allows very easy debugging of HTML and CSS. The best feature is inspection of HTML and modifying it to see output in real-time. It also integrates with Page Speed from Google which can help determine what is slowing down your web pages. Web developer is another excellent add on for web developers. 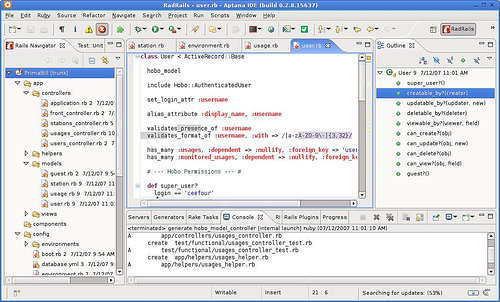 It provides easy debugging via integration of various debugger tools. 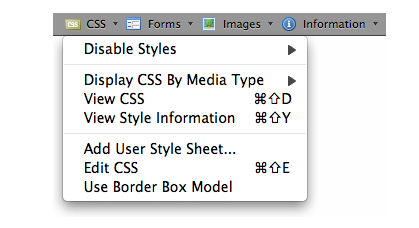 It creates a toolbar on your Firefox with various options such as CSS, Images, View Source, Validate – DOM, HTML etc. The options might be little over whelming as compared to Firebug. It may take some time to get used to it. 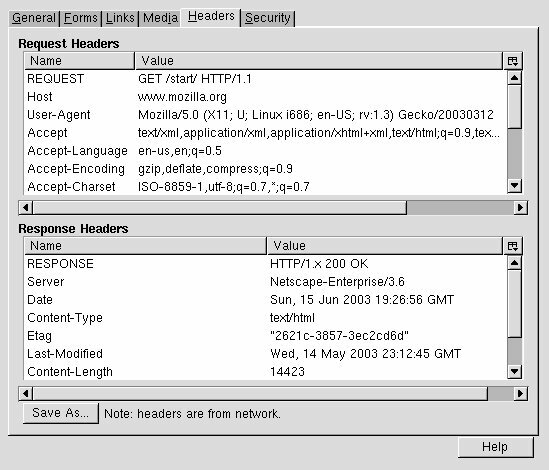 Live HTTP headers is a great tool to view HTTP headers of a page and while browsing. This helps in identifying your web page behavior under various conditions such as 301 redirects, page not found etc. This tool is a must to understand the exchange of information between web pages and the browser. A great tool for developers and SEOs alike. If you have a recommendation that is free and works really well let us know.